It isn’t often that a property this unique comes up for sale. The deeded property base and improvements provide security and comfort in the midst of a truly wild area managed by the U.S. Forest Service. 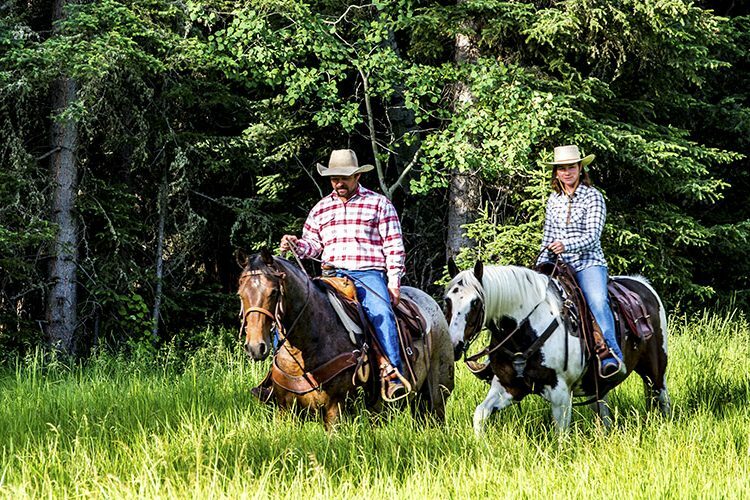 The ranch is easily accessible by car 12 months a year and within a 20-minute drive to Stanley, Idaho and an hour-and-a-quarter drive to the Sun Valley/Ketchum resort complex. When you close the ranch gate behind you, the clock is turned back to another time and the incredible soul of this place will change one’s life. Located within the Sawtooth National Recreation Area less than an hour and a half north of the famous resort community of Ketchum/Sun Valley, the 128± acre Robinson Bar Ranch has been the 35-year residence of singer/songwriter Carole King. The building compound includes a beautifully restored 7,337± sq. ft. lodge, owners residence overlooking Warm Springs Creek, caretakers home, guest cabins, equestrian facilities, greenhouse, and a professional recording studio. The property comes with mineral rights and adjudicated water rights. Geothermal springs produce energy-saving hot water year round for two pools and radiant heat for the lodge and studio. Surrounded by national forest lands, the property offers solitude, private trails, panoramic mountain views and extensive live water with great fishing and whitewater rafting on the adjacent Salmon River. Central Idaho is quite simply the wild heart of the largest complex of temperate-zoned wild lands remaining in North America. Nowhere does one feel this more than arriving at Robinson Bar Ranch. Leaving State Highway 75 fifteen miles east of Stanley, one accesses the ranch via a Forest Service road that crosses federal lands and follows the Salmon River before the river drops into a deep canyon. When one arrives at the ranch gate, the canyon opens to a series of large irrigated meadows and plateaus at the confluence of Warm Springs Creek and the Salmon River. It is immediately obvious that this is a special place steeped in history, lovingly cared for, and surrounded by some of the most beautiful mountain wilderness in the West. The ranch compound, which comprises the residential dwellings and hot springs complex, is perched on an open terrace above Warm Springs Creek. The sense of peace and solitude is overwhelming with the only sounds being the rush of a mountain stream and the wind in the pines. Robinson Bar Ranch is located at the northern reach of the White Clouds Mountain Range near the confluence of the Salmon River and Warm Springs Creek, 15 miles east of the classic mountain town of Stanley, Idaho. The ranch is surrounded by the 756,000-acre Sawtooth National Recreation Area and lies just outside of the 91,000-acre White Clouds Wilderness. To access the ranch, one travels east from Stanley on Idaho State Highway 75 to the O’Brien Camp Ground U.S. Forest Service road and then 1.5 miles to the main ranch gate. The Wood River Valley and its communities of Sun Valley, Ketchum, Hailey, and Bellevue serve as the principal trade center for the area and are located 75 miles south of the ranch. Friedman Memorial Airport in Hailey offers commercial service on Delta/Skywest, United and Horizon Airlines and is the home of Atlantic Aviation, a national fixed-base operation servicing all sizes of private aircraft. Stanley provides a variety of lodging options, outfitting services, retail establishments, and is also the site of a 4,300-foot turf and gravel airfield capable of handling light twin-engine aircraft. Air charters are also available from Stanley. In addition to offering jaw-dropping views of the Sawtooth Mountain Range, Stanley is the principal jumping-off point for central Idaho’s vast wilderness areas and extensive backcountry. 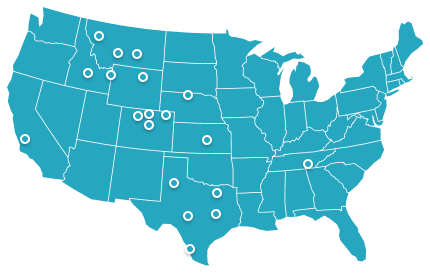 Boise, Idaho, the state’s commercial and political center, is located 130 miles southwest of Stanley and offers a full schedule of commercial air travel options. All who have visited the stunning Sawtooth Valley will agree that it is the “crown jewel” of Idaho’s high country. Four mountain ranges – the Sawtooths, Boulders, White Clouds and Smokeys – provide scenic landscapes in every direction, with 40 peaks 10,000 feet or higher. More than 300 alpine lakes ring the valley, and the headwaters of four of central Idaho’s major river systems – the Salmon, Payette, Boise, and Big Wood – originate in the surrounding mountains. Heavy winter snowfall results in lush, abundant summer forage for the wildlife and livestock that migrate to the Sawtooth Valley during the warmer months. Throughout the year, visitors take advantage of the valley’s plentiful outdoor recreation opportunities, from hiking, boating, biking and fishing during the spring and summer to cross-country skiing, snowmobiling, and snowshoeing through the winter. The Sawtooth Valley is encompassed by the 756,000-acre Sawtooth National Recreation Area (“SNRA”), one of the nation’s largest and most magnificent National Recreation Areas. Established by Congress in 1972, the SNRA is managed by the U.S. Forest Service to protect the area’s diverse natural features, historic values, and recreation opportunities. Through a unique scenic easement acquisition program, the U.S. Forest Service has protected nearly 90 percent of the private lands within the Sawtooth Valley from unchecked residential and commercial development, thereby ensuring the valley’s spectacular setting remains intact. At the heart of the SNRA is the 217,000-acre Sawtooth Wilderness, a stunning high elevation area that provides shelter to native plants and wildlife as well as refuge for visitors seeking solitude. The White Clouds Mountain Range, which extends southward from the ranch, is an extremely diverse region with elevations ranging from 11,820 feet at the top of majestic Castle Peak to 6,000 feet along the remote East Fork of the Salmon River. The White Clouds provide some of the best wildlife habitat and mountain scenery in the SNRA with a great deal of “user-friendly” terrain. In August 2015, Congress designated 142 square miles of the White Clouds as a federal Wilderness thereby protecting the area from mining and other incompatible uses. In addition to being located within the SNRA, the property lies within Custer County, one of the state’s largest counties at 4,925 square miles. 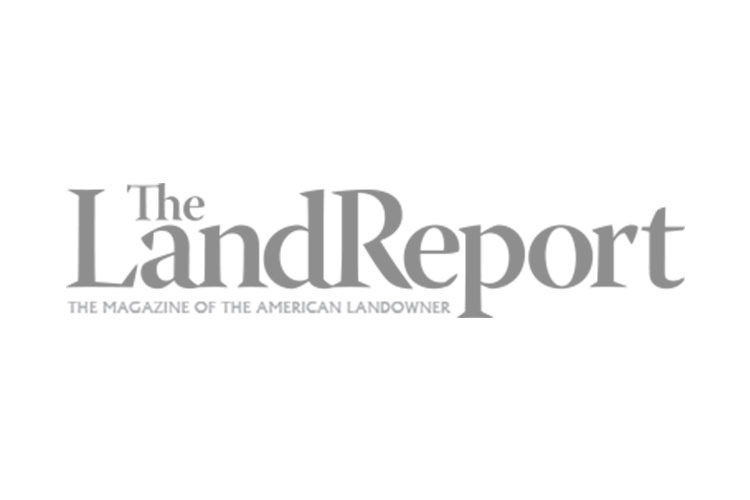 Over 95 percent of the county’s land base is in federal and state ownership. In spite of its size, Custer County is one of Idaho’s most rural and least populated counties with a current population of approximately 4,500. The recorded history of Custer County begins with fur traders and pathfinders traveling through the region as early as 1824, with prospectors and miners arriving in the 1860s and 1870s. Named for General Custer mine, Custer County was established in 1881. The county’s principal industry is cattle ranching with livestock operations often stretching back multiple generations. The mining and timber industries have also played an important role over time. More recently, tourism and outdoor recreation have emerged as important components to the local economy by capitalizing on the area’s abundant wildlife, whitewater rivers, outstanding scenery, diverse public lands and high mountain peaks. The ranch lies at an elevation of approximately 6,000 feet within a climatic transition zone between Stanley, with an average annual maximum temperature of 52.4 degrees, annual minimum temperature of 18.4 degrees, and an annual precipitation of 13.33 inches, and Challis, Idaho, 60 miles east of Stanley, with average annual maximum temperature of 58.1 degrees, annual minimum temperature of 30.7 degrees, and an annual precipitation of 7.4 inches. The ranch enjoys close to 300 sunny days per year. Summer temperatures range from the mid to high 80s and cool at night reaching the low 40s. Winters are cold with lots of sun and an average snow pack on the valley floor of two feet. The first humans to inhabit Robinson Bar were no doubt the Sheep Eater Indians – part of the Shoshone-Bannock Tribes. A gold rush brought the first Anglo settlers in 1868 working placer mining claims. Remnants of this mining can still be seen on the ranch. In 1890, a stage stop was built and the geothermal springs were put to use as hot pools. Chase A. Clark acquired the property in 1900 and began operating a guest ranch and resort. Chase Clark went on to become governor of Idaho and an Idaho supreme court justice. The ranch stayed in the Clark family for over 70 years. U.S. Senator Frank Church was married to Bethine Clark. 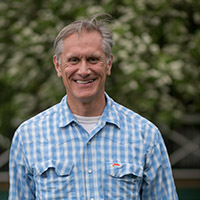 Senator Church was responsible for much of the legislation that has protected the Central Idaho Wilderness, including the SNRA that surrounds the ranch. The current owner, legendary singer and songwriter Carole King, purchased the ranch in 1981 and has used it as a private retreat ever since. Robinson Bar Ranch represents one of the few private holdings within the SNRA that is not subject to a conservation or scenic easement. Depending on the goals of a new owner, the opportunity exists to pursue such an easement for the purpose of preserving the ranch’s significant historic, scenic, and wildlife values. 7,335± square feet, painstakingly restored, two-story log building with five bedrooms, two bathrooms, large commercial kitchen, two stone fireplaces, dining room, living room, den/office, geothermal radiant heat, river and mountain views. 1,825± square feet with three bedrooms, one full and two half baths, wood-burning fireplace, exposed beam ceiling, large deck space. 2,045± square feet with two bedrooms, one bath, and extensive deck space. Perched on a bluff directly above Warm Springs Creek. Includes a guest apartment on the second floor with a kitchenette and a bathroom with a sink and a stone shower. Used for additional living space and ranch storage. Encompasses a large swimming pool, smaller soaking pool, and indoor changing and shower room. This is a beautiful area designed with native stone and vegetation using the ranch’s geothermal hot water springs to create a year-round spa/recreational complex. The water temperature is approximately 135 degrees at the springs’ source and approximately 108 degrees in the pools. Located on an irrigated bench west of Warm Springs Creek is a new horse barn with six stalls and frost-free water for livestock and historic ranch buildings used for equipment storage. There is one well that provides potable water at the ranch compound and a second well at the horse barn that provides stock water. Septic tanks and drain fields provide sewage disposal. Utilities are underground with services comprising electricity, multiple phone lines, DSL, and satellite TV. The main lodge has security and smoke detection systems. The ranch holds the following licensed, adjudicated water rights: 72-4092; 72-4093A; 72-4093B; 72-4094; 72-4112. These rights are comprised of two licenses from a hot spring for geothermal heating and recreational uses; one ground water (well) license for domestic, irrigation and stock water; and two licenses for irrigation water from Warm Springs Creek. Custer County property taxes are approximately $5,744 annually. 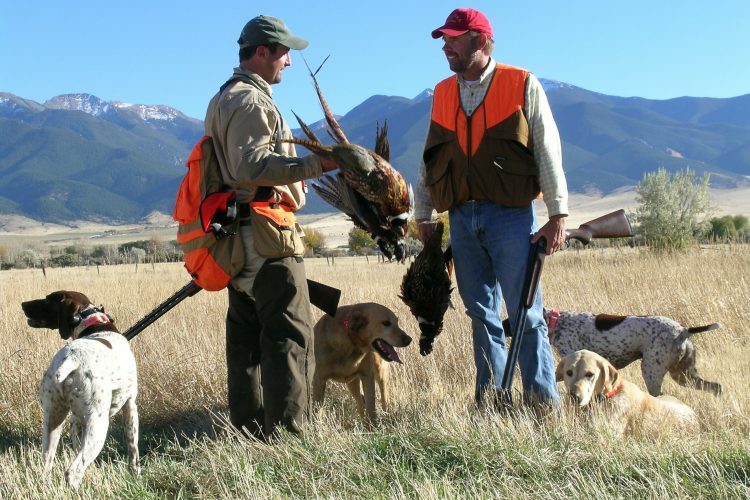 The ranch is located in an undisturbed ecosystem that contains an amazing variety of wildlife, including mountain goat, mountain lion, black bear, lynx, pine martin, mule deer, elk, gray wolf, coyote, and fox. Birds include hawks, eagles, osprey, owls and multiple species of song birds. Chinook salmon (up to 30 pounds) and steelhead spawn in the Salmon River adjacent to Robinson Bar and in Warm Springs Creek. These magnificent fish have returned to their birth place 800 miles from the Pacific Ocean. Warm Springs Creek also hosts strong populations of westslope cutthroat trout, rainbow trout, bull trout, and mountain whitefish . Recreational opportunities abound with hiking, horseback riding, mountain biking, whitewater rafting, kayaking, fishing, rock climbing, horse packing, overnight camping trips, cross-country and telemark skiing or simply reading a book and taking in the scenery while soaking in the ranch’s hot pools. There are tens of thousands of acres of national forest lands adjacent to the ranch and miles of forest service trails, most of which are lightly used and not available for motorized travel.